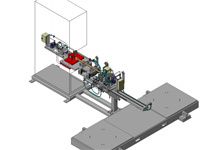 Fixtures and Tooling Offered at J.B. INDUSTRIES, Ltd.
We offer to build fixtures and tooling to your drawings and specifications, or by combining our Engineering and Manufacturing Service offerings, JBI can provide “full service” design/build of your fixture and tooling requirements. Whatever part of a project we can assist in, we are flexible to our customers requirements and wishes. Robot End of Arm Tooling. 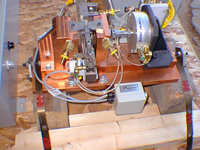 Ultrasonic and Eddy Current (non-destructive) Test Fixtures. Please refer to our headings for ENGINEERING or CNC MACHINING to see more reference on our capabilities in regard to Fixtures and Tooling.